I am a literacy advocate and it is my ardent desire to make literacy accessible and equitable to everyone. I have been involved in volunteer works for a decade already and all of them are related to literacy. From all the volunteer works that I did, the flexible literacy programs of ATD Fourth World Philippines certainly piqued my curiosity. 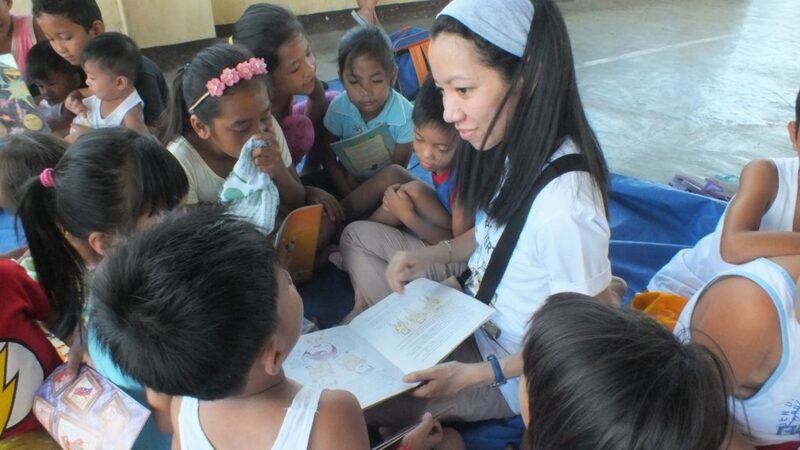 Serving as a literacy tutor for Ang Galing and attending meetings, workshops were not enough. My initial goal then for applying as an intern was to gain a deeper understanding in the process of ATD Fourth World Philippines in organizing their partner communities and facilitators. After reading Paulo Freire’s Pedagogy of the Oppressed, I wanted to find out if the participatory approach in community development is true and possible. In the three months that I have served in the organization, I have gained more than enough information to satisfy my curiosity and questions. The questions I had were answered beyond my expectations as various viewpoints from the ATD team and community facilitators were generously shared with me. I truly appreciate the sense of openness and strong support extended by everyone in the organization. They created wonderful opportunities for me to fulfill my goal and gain better perspectives. I have observed how everyone involved in this organization exemplify the ethics of care. They treated everyone as family. Further, I absolutely love the organization’s different way of helping those in chronic poverty. ATD creates a space to discuss pressing concerns and issues about poverty through organized fora and dialogues. Everyone has a voice in this learning space. Everyone is heard and respected- their voices and experiences matter. These vulnerable and excluded individuals are seen, heard, and involved in the process of changing their social realities. In this way, authentic change can definitely happen. These transformed individuals can become agents of change and I personally observed this in the lives of the community facilitators. 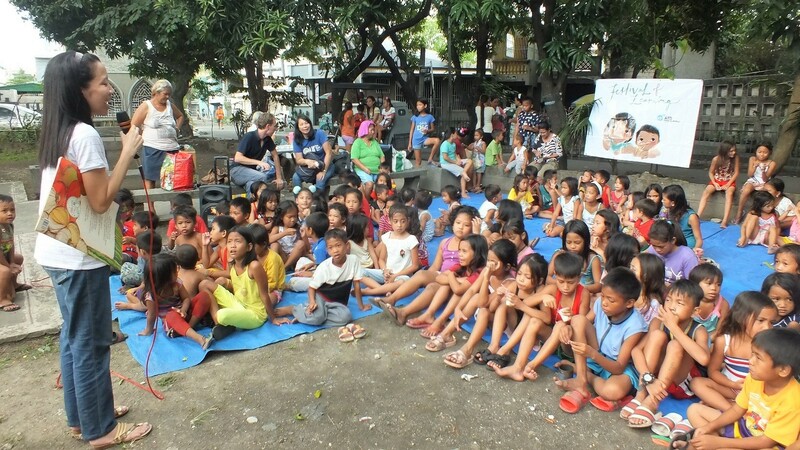 The constant interaction with the community facilitators made my internship experience even more memorable. I have never met a group of people with such creative problem skills and rich funds of knowledge. The community facilitators shared with candor their struggles and truth about themselves, which I find essentially beautiful. The rawness of their stories and the sheer courage to reveal their vulnerabilities gained my profound respect. They are very generous with their ideas and thoughts about life. They have reached that level of awareness to simply tackle and discuss issues that beset them. Since all of them have experienced social injustices, they are social activists who actively fight for their rights and others. They practice active citizenship and strive to help those who can’t defend themselves. This is the genuine beauty in finding one’s dignity, which ATD Fourth World Philippines has successfully fulfilled in the lives of these community facilitators. I started to see this beauty behind the community facilitators’ laughter, ramblings, debates, and opinions. I was fascinated to watch them prepare the materials for the art workshops with meticulous thought and ways. Their shy smiles when their work, effort is acknowledged make them even more attractive to look at. During my internship, I also wondered about the programs of the organization. What is the essence or philosophy behind these programs? Why are they doing what they are doing? I found the answers when I was minding a child in his artwork during an art workshop in one of the partner communities of the organization. After guiding this child, I looked around and was astonished to see everyone making art. Everyone was putting together pieces of recycled materials and creating beautiful works out of it. It was a brief moment of epiphany where everything became crystal clear. For me, the programs of ATD Fourth World were designed to enable disadvantaged individuals to discover and find beauty in their experiences and everyday realities. Just like scrap materials that were carefully designed and constructed to create a stunning piece of art, the organization thoughtfully guided disadvantaged individuals to utilize their experiences to serve as essential elements in gaining critical consciousness. This, in turn, moved these individuals to take action in transforming their social realities. What used to be seen as scraps of experiences and realities are now assembled as beautiful pieces of truths and testimonies. Indeed, beauty begets beauty. ATD Fourth World shared this beauty to everyone involved in the movement. You can see it in their programs. You can observe it in their dialogues with the stakeholders. It is reflected in the eyes and actions of the ATD team, volunteers, and community facilitators. Once you see this beauty, it’s hard not to miss it. It stands out like a flower in a grass field and you will always see it. It’s always there. Moreover, ATD Fourth World is an organization that builds upon on one’s strengths and finds alternative options to develop one’s weaknesses. Failure is utilized as an enabling tool to learn and improve on something. Their flexible approach in organizing programs is commendable as it shows their commitment to put a high premium on the people involved. At its core, ATD Fourth World is people, children, learning, and community centered. I have definitely found an extended family who shares my passion for serving others. As Antoine de Saint-Exupery beautifully wrote, “It is with the heart that one can see rightly; what is essential is invisible in the eye.” Sometimes, the invisible and unheard ones are those that give the greatest impact and profound impression to others. Also sometimes, they are the ones that enable you to appreciate a different kind of beauty – one that stemmed from resilience, hope, and finding one’s dignity.